Recently Sawyer came out with a new line of game-changing filters. While the Sawyer Squeeze has already dominated the backpacking world due it’s weight and cost efficiency, Sawyer’s new line of filters is going to make a massive difference on an international scale. Sawyer’s recent research yielded three filters that were designed to combat very specific water pollutants. Not only do they all improve the taste and odor of water, but they each were designed with a specific intention. The Sawyer Squeeze filters remove 99.9999% of bacteria and protozoa. But up until now, users were still at risk of ingesting chemicals, pesticides, viruses, and heavy metals. Weighing 10 ounces each, these new filters are heavier than the 3 ounce Squeeze but may be worth the weight. Uses: Agricultural run-off (ie this could be used while hiking the Lone Star Hiking Trail in Texas). Uses: Regions with virus outbreaks (ie. HEP E contamination, which is often found in poor areas). Uses: Industrial pollutants, natural disaster related pollutants (ie Chernobyl, Ukraine). 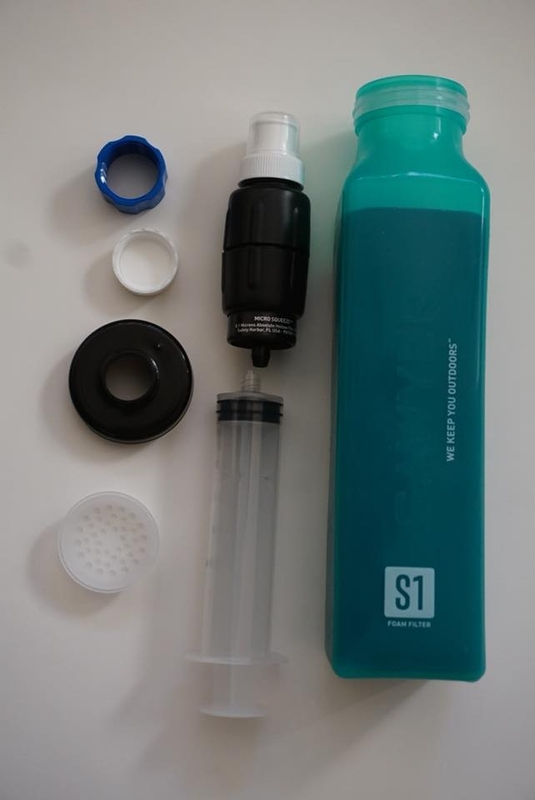 The S1, S2, and S3 come with a squishy water bottle with an interior foam filter. The water bottle may offer a solution to difficulties that hikers previously had with popping the bags that come with the Squeeze and Mini. Potential Cons: But the water bottle is a weird size, holds less water than expected due to the foam, and the foam retains water (which ultimately adds weight). Potential Pros: The individual pieces of the S1, S2, and S3 are easily removable which makes cleaning efficient. 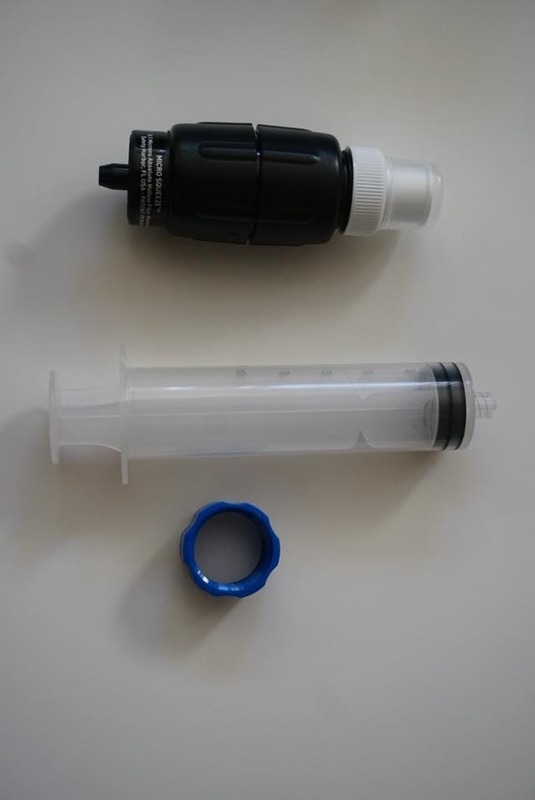 The design of the new Micro Filter is very similar to the Squeeze and the Mini, but the flow rate and overall efficiency has reached new heights. A note about freezing these filters: The foam filters are not susceptible to freeze damage, but the micro filter is. Sawyer recommends replacing the filter, especially in the case of a hard freeze. Sawyer’s dedication to providing clean water offers solutions to not just backpackers, but also anyone who’s regularly exposed to pollutants. These filters could make the difference between an idyllic expedition and contracting a flesh eating virus from your water source. La Oroya, Peru: La Oroya is one of the most heavily polluted places in the world with high levels of lead, zinc, and copper due to the mining industry. Sumqayit in Azerbaijan: Due to the soviet industry, Sumqayit saw lots of chemical production. Heavy metals, oil, and chemical pollution still heavily trouble the region. Vapi, India: Vapi struggles with pollutants like petrochemicals, pesticides, pharmaceuticals, and other chemicals. Not only is Sawyer the leading producer of water filters for backpackers, they’re also driven by a mission to bring clean water to places of need. 884 million people in the world don’t have access to clean water. And Sawyer aims to change that. Disclaimer: An S1 was donated for the purpose of this review but the donation in no way impacts the opinions expressed in this article. Hi, I'm Mary Beth (Mouse). I'm a Freelance Writer who specializes in personal narratives, gear reviews and adventure stories. I thru-hiked the Appalachian Trail in 2015, part of the Annapurna Circuit in 2016, and the Colorado Trail in 2017. I am now destined to life as a trail urchin.